This post to date may be the simplest post I have written. Mainly because I’ve been carrying a purse since my freshman year of high school (I went to a catholic grade school, we wore uniforms, the only bag you were carrying was a book bag, haha). I’ve always known a purse is for my ‘essentials’. Yes, over the years my purse essentials have changed because let’s face it, a huge brush doesn’t make sense in this tiny handbag! I’ve realized a mini hairspray isn’t always a necessity and neither is two pairs of sunglasses (keep one pair in the car ladies 😎). But I have always stuck with these basics. The most important piece, a nutrient bar, which is sometimes my lifeline. Breakfast, lunch, or snack; it’s going to be eaten at some point because I’m always out running around and it seems that I get hungry at random times in the day! Other essentials of mine are: lipstick(s), sunglasses, bobby pins, hair tie, wallet, hand sanitizer, lotion, lip balm and pens. If my purse is bigger I’ll carry a water too. If I know I’m going to be out all day I may stick a powder/compact in there. 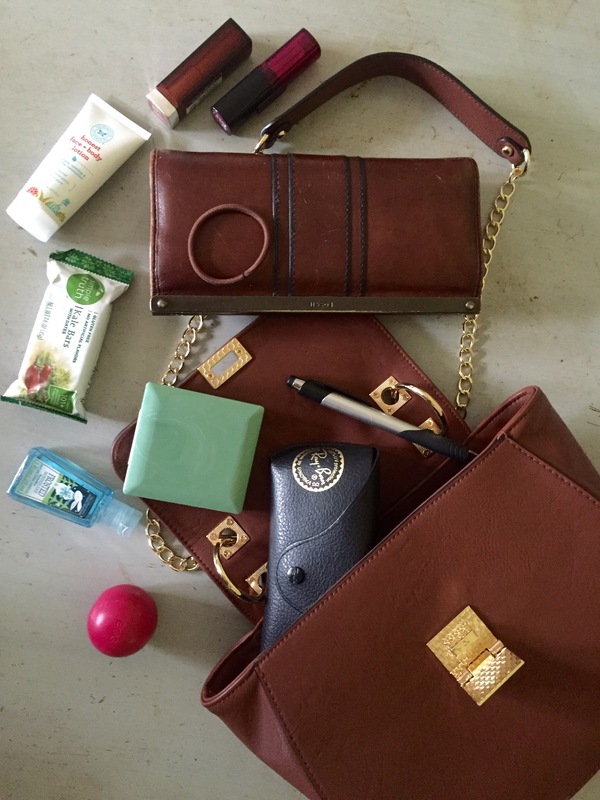 What are your purse essentials! ?